The research institute Icare joined the program "Glass Explorer" and develops reading apps barcode with connected glasses (Google Glass). The research institute Sierre Icare enters the " Glass Explorer " program , after a selection process and through sponsorship . Connected the glasses arrived there about ten days at the institute, where an Android developer is tasked to devise new applications. As a first step - and this is why the institute was selected in the program - Icare work to develop an application for Google Glass of code reader . The Institute 's priority barcodes , license plates and identification cards , but already met his first pitfalls. 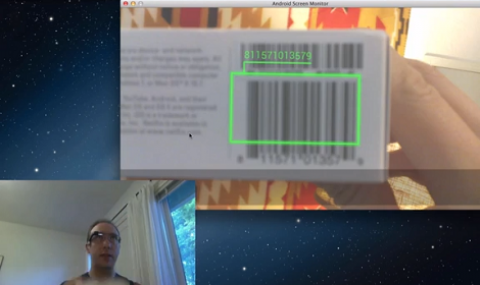 "The camera is equipped with autofocus , which makes reading bar code very difficult. Must we adapt our algorithms , "says Benoît Golay responsible for recovery. Both products are being tested for reading information on allergies on the packaging. The prototype should be presented in February at the Mobile World Congress, in collaboration with GF1 , the organization that manages the codes in the world , Barcelona. This first mission could be followed by the development of other applications. Benoît Golay says "We specialize in the Internet of Things, we can imagine future uses, we are open for other projects." At the next school year, students should begin the work of master based on Google Glass. The specialist also imagine eHealth solutions, with real-time information on the status of the patient sent to the doctor's glasses, or offer this support on the instructions of furniture to assemble. "In short, you need the right information at the right time."